Business Insider/Mary HanburyA Mattress Firm showroom. Tempur Sealy shares are down about 2% Friday after the retailer Mattress Firm filed for Chapter 11 bankruptcy protection. Mattress Firm will close 200 stores in the next few days and exit up to 700 stores within the next next 45 to 60 days. Mattress Firm used to be a supplier of Tempur Sealy mattresses, but the contract was terminated earlier last year. Watch Tempur Sealy trade in real time here. Tempur Sealy, the maker of the mattress brand Tempur-Pedic, dropped about 2% Friday after Mattress Firm filed for Chapter 11 bankruptcy protection. Tempur Sealy shares rallied more than 10% on Wednesday when Reuters reported Mattress Firm was preparing to file for bankruptcy protection. 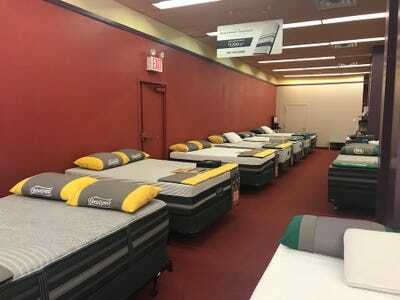 Mattress Firm, the largest US mattress retailer, announced Friday that it will close 200 stores in the next few days and will exit up to 700 stores within the next 45 to 60 days. The company also said it received $US250 million of commitments from debtor-in-possession financing and obtained $US525 million of commitments from senior secured credit facilities to support its restructuring. “The process we have initiated today will allow us to strengthen our balance sheet and accelerate the optimization of our store portfolio,” Steve Stagner, CEO of Mattress Firm, said in the press release. If Mattress Firm closes 600-1000 stores for restructure, Tempur Sealy could gain $US50 million in EBITDA, Seth Basham, an analyst at Wedbush, said in a recent note sent out to clients. 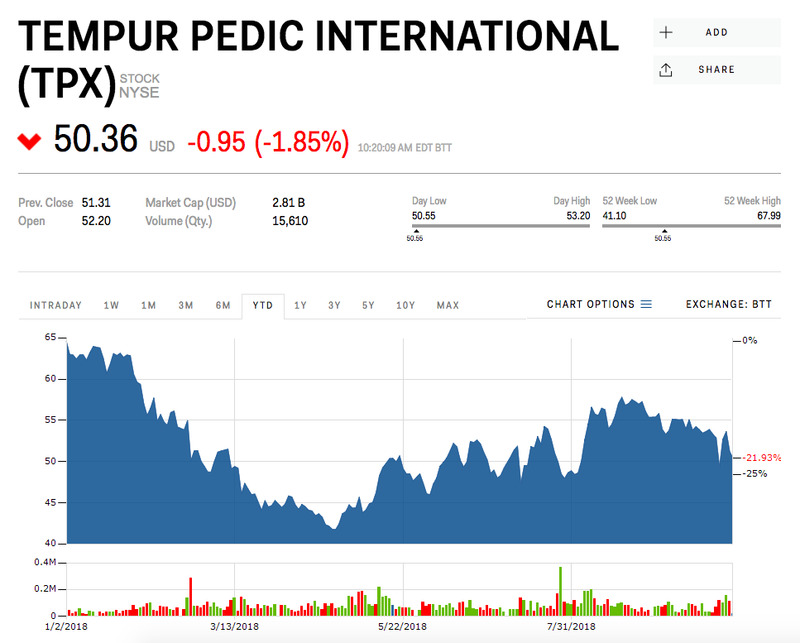 At the time, Basham noted that this was not fully reflected in Tempur Sealy shares, and that the stock could rally to $US65 – about 30% above its current price. Basham has an “outperform” rating. Tempur Sealy has fallen 22% this year.